Hello my new friend from the street! If you are here and you have no idea where you are, let me introduce myself and explain to you everything. I am a typical fake blonde polish girl who needs at least one hour in bed before she falls asleep. What runs through my mind are many different things, like a black abyss or if there is internet in prison. I love to travel and make friends all over the world and I am amazed by how the internet helps me to keep those conections and also comunicate with people that I would never meet. How lucky we are to make a new connection just by using a hashtag? 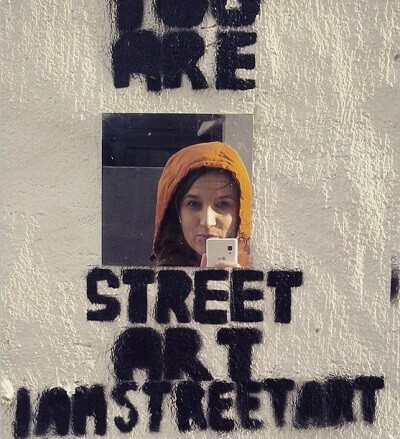 I placed the first mirrow in Reykjavik, Iceland before I moved back to Poland; as a tribute to all the people I’ve seen on the streets of Reykjavik. I realized that the true pieces of art are humans. And while we are looking at the walls thinking how great the murals are, we don’t think about what makes the city colorful and alive is us. 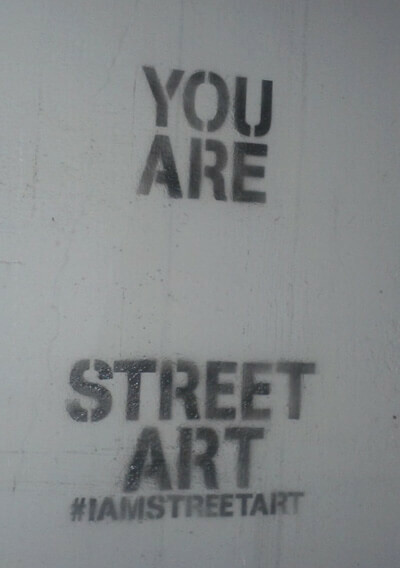 I watch people on the streets very often, probably more than I look at street art, which is my big passion. 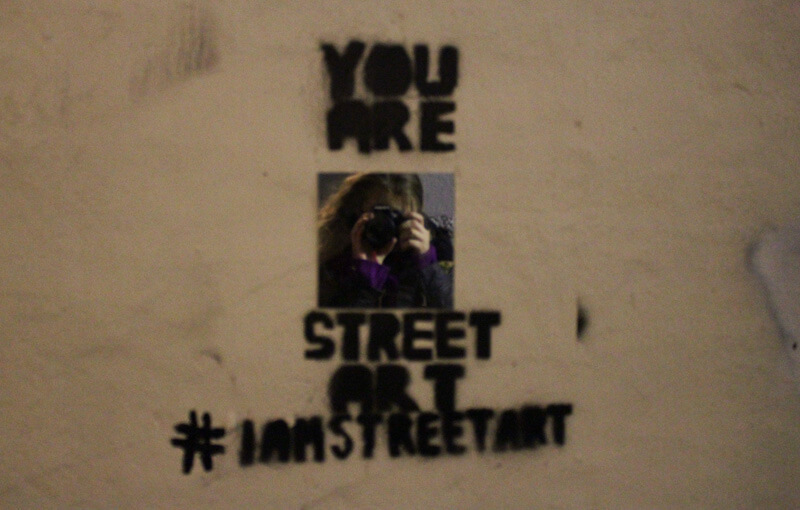 I wanted to make street art which will change whenever new people come to the picture. Every piece is different, cause there are always new faces in it and that makes it very unique for me. Do the artists ever see whose seen what they’ve done? I am lucky to meet some of these people who were stopped by what I created. It is very unique for me and I am thrilled every time I see a new person or an old friend. 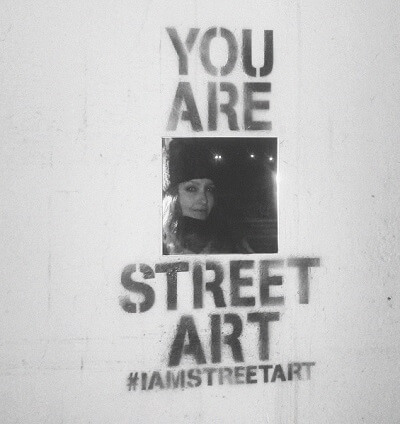 Thank you for being a part of this project and for being the main artist in this piece. Do you know how this would look like without you? Your face makes it special. 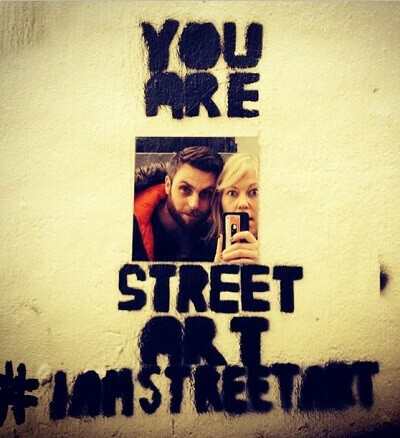 I created the gallery on my facebook page with all the pictures I’ve found with the hashtag #iamstreetart. If you want te be in it, let me know. So is there internet in prison? 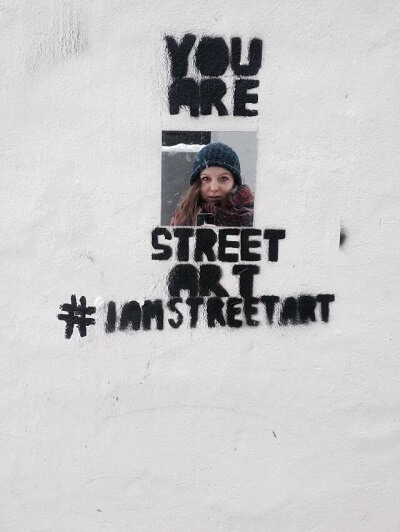 This entry was posted in KOSMOS and tagged #iamstreetart, you are street art. Bookmark the permalink. We would love to feature you next your in out gallery and perhaps work together and feature your work in a gallery, event, show, etc. 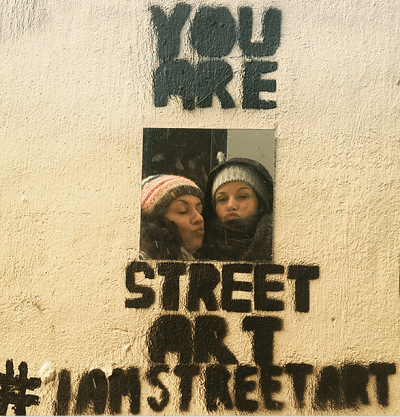 Let’s connect further–the founder of IAMART is artist_One and IAMstreetART is the streetart gallery for the I AM ART movement. Looking forward to possibly working with you.